Man, is it time for Army already? It doesn’t feel all that long ago that I was wondering what the heck I was going to write about Towson after spending all summer talking about the Alternative Service Option. Now here we are in December, rolling into the Game Of Games with a 7-4 record and making plans to head to RFK for yet another bowl game. Time flies when you’re having fun, I suppose. But if that’s the case, then August probably feels like a long, long time ago for West Point. After the emotional, controversy-filled offseason that saw the Alternative Service Option come and go, Army fans had to view the coming season as sweet relief. For once, there was cause for optimism on the banks of the Hudson. Yes, after a “defensive scrimmage” for a spring game that came after a double-secret spring practice that came after a double-secret “coaches’ retreat” meant to devise a new offensive scheme, word leaked that the option– the mighty, all-powerful, cure-for-what-ails-ya option– would be returning to Army. Indeed, the triple option at Army means offensive coordinator Tim Walsh deciding if he should call Mooney left, Mooney right, or Mooney up the middle. As predictable as the offense is, the fact that Mooney has been so productive this year is a real testament to his ability, and a credit to the line blocking for him. Before the season I mocked Army defensive coordinator John Mumford (deservedly so) for calling Mooney “probably better than any Navy fullback we’ve ever faced.” But to Mumford’s credit, Mooney has played one hell of a season. Another 54 yards, and he’ll have Army’s single-season rushing record. He’s 11th in the nation in rushing with over 1,200 yards despite everyone in the building knowing that he’s going to get the ball on almost every play. This wasn’t Stan Brock’s design going into the season. Army started the year trying to run an actual option offense. It wasn’t Navy’s spread option; it actually resembled the wishbone derivatives run by Fisher DeBerry’s early Air Force teams. No matter what it was, it didn’t work. Quarterback play was a large part of the problem; not surprisingly, neither Bowden nor Carson Williams were very proficient in the offense after only one offseason running it. Bowden took over for Williams as the starter since, if neither guy is all that great running the offense, you might as well play the faster guy who might be able to break a long run here or there. But more than just the play of the quarterback, Army has had to make a pretty tough realization. It’s been a long-held belief by Army fans (and coaches too, judging by comments in recent years) that the Black Knights have pretty much the same talent level as Navy. The only thing they lacked, according to this theory, was the right scheme to fit that talent. Hence the preseason optimism; with Navy-like talent and a Navy-like scheme, maybe they would see Navy-like results. Unfortunately for those who drank the Kool-Aid, that hasn’t proven to be the case. 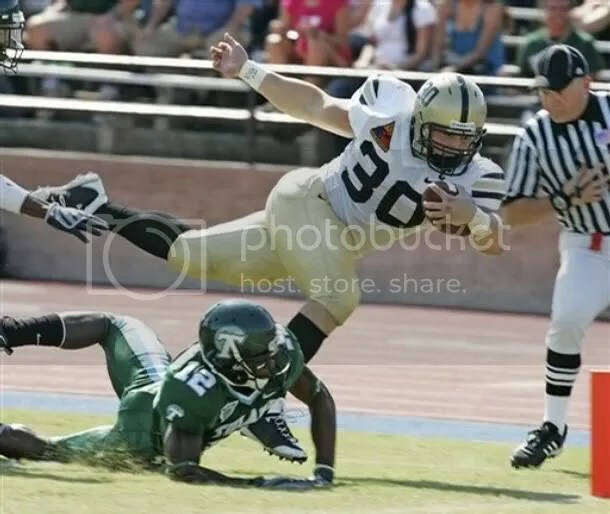 Once Army started running an offense that looked a little like Navy’s, it was a lot easier to compare the talent between the two service academies. The results weren’t good for the Brave Ol’ Army Team. When it comes to overall team speed, they just don’t measure up. The quarterbacks’ struggles take a lot of the option game off the table, and the lack of outside speed makes the perimeter rushing game less effective. So instead of trying to do something they couldn’t, Army’s coaches decided to focus on something they did well. That meant using strong offensive linemen and a bruising fullback to push the ball up the other team’s gut. It’s a role in which Mooney has flourished, and he almost single-handedly is responsible for Army’s 3 wins this season. That makes Nate Frazier the man of the hour for Navy’s defense. This is his Everest. Army is going to come right at him. Other than whatever tricks Stan Brock has up his sleeve, they can’t do much else. The last time this kind of a challenge was placed on Navy’s defensive line, Frazier, Nechak, and Tuani responded with a brilliant effort against Notre Dame. Hopefully they will do the same tomorrow. For the Mids, there’s more uncertainty surrounding this Army-Navy game than there has been in years. The central issue for the Blue & Gold is who will start the game at quarterback. Ricky Dobbs started last week against Northern Illinois, and after some nervous mistakes on the first drive, he settled down to run the offense well enough to win. But according to Coach Niumat, Kaipo has been practicing all week and looking as good as he did back in the spring. But he hasn’t played in a month, and has only played one full game all year (Rutgers back in September). Do you go with the hot hand, or the seasoned veteran? Tony D’Amato went with Cap Rooney over Willie Beamen in the big playoff game, and that’s what I think Niumat will do–and should do– here. Most of you read Wagner’s blog too, and you probably are big fans of the weekly videos he puts out each Wednesday. In this week’s video, Wags feels that Navy should go with Dobbs. If this was any other game, I might entertain the thought. But don’t underestimate how big Army-Navy is. 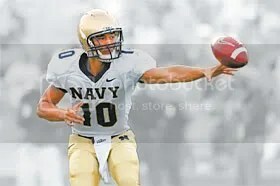 The last sophomore to start the Army-Navy game was none other than Kaipo himself in 2006. By his own admission, he was a nervous wreck and played a horrible game. This is the same guy who went into South Bend and actually waved his arms to get Notre Dame fans to make more noise, being so confident in his ability to pick up a first down. Kaipo is one cool customer, and even he struggled. And I’m sure nobody needs to be reminded of what happened in Charlie Weatherbie’s first Army-Navy game. Kaipo might be rusty, and who knows how healthy he is, but he’s the most experienced QB and most likely to keep his calm. I expect him to go as long his body can take it. What he’ll be going against is a defense that has performed as well as any other against the Navy offense over the last few years. The first four Army-Navy games under Paul Johnson were characterized by the Navy offense running wild. In 2006, Kaipo had a rough game and the offense didn’t play as well. Last year Kaipo was fine, but despite the 38-3 score, all you heard on CBS was how well Army defended against the Mids. Navy fans were left wondering if Army found the magic formula to finally slow down Paul Johnson’s offense. Don’t worry, they haven’t. Army lined up with the same 4-3 look that Pitt and Notre Dame used this year. Just like those two teams, Army focused on interfering with the playside tackle, freeing up their middle linebacker and allowing him to flow to the ball. I put two plays on this first clip here. On the first play, you can see the DE lined up outside the tackle and puching him away from the MLB, back towards the middle of the line. The defensive end can do this because the tackle is usually supposed to release inside of him on his way to the linebacker. One of the adjustments you’ll see the coaches make is to have the tackle release outside instead. It makes for a tougher read for the quarterback, but it keeps the tackle from getting caught in the pile. Just in case any of you think I’m full of crap when I tell you that defenses actively try to interfere with the tackle, watch the second play. Josh Meek releases outside of Army’s DE, but actually gets grabbed and pulled from behind to keep him from blocking the MLB. Now, there are other adjustments you can make. What Coach Johnson did was run the double option, making the fullback a blocker and assigning him to the middle linebacker. These were good adjustments by Coach Johnson to keep the chains moving, but none of them were really designed to hit the home run. Go back through the video again and look at how aggressive Army was playing. The middle linebacker didn’t just flow to the ball, he really overpursued. Army’s secondary virtually disregarded the possibility of the pass, except in 3rd & long situations. These are usually the times when PJ unleashes the HAMMER OF THOR and calls play-action or a reverse that goes for 6. But he didn’t here. With huge defensive plays keeping Army out of the end zone, and huge special teams plays putting Navy into the end zone, he didn’t have to. Coach Johnson isn’t the kind of guy to tip his hand, especially with a team he’s going to face every year. If he can beat a team just by running simple stuff and winning field position, he will. That way, opposing coaches think their defensive scheme worked, and will try it again the next year. And that’s when you can unleash the mental Manhattan Project on them and blow them away. Of course, none of this matters without execution, and that’s what Saturday’s game is going to come down to. Even if the strategy wasn’t the best, Army didn’t make it worse with bad execution. They played well, while at times the Mids did not. That said, it was a friggin’ five-touchdown victory. If Navy executes like they’re capable of, you’ll see more of the same. If we see more mistakes and inconsistency like in the Notre Dame game, it’ll be a lot closer. Rise to the challenge, and we’ll sing last. I sure hope the Woops don’t wear those “We Sing Last” t-shirts in pregame warm-ups again. Or maybe I DO hope they wear them. Great work as always! Here’s hoping the Woops go down in flames again this year! i agree that Mot has to start Kaipo…but not because Dobbs will be overwhelmed by the spotlight. For whatever reason, I don’t think that the spotlight phases Dobbs all that much. Rather, I think that a healthy Kaipo is this offense’s best option. I’m not saying that it’s a given that Ricky would be overwhelmed. Just that the spotlight shines pretty bright on the QB and you never know how a sophomore will handle it. One less variable to consider. Kaipo is as cool and laid back as they come, but even he had trouble. It happens. But you’re right, a healthy Kaipo is the best choice for the offense regardless. Im not drinking the Kaipo Kool Aid as much as everyone else for this. He has not been around and playing at all and now he is expected to start? I thought Dobbs had earned his shot? I understand and can see that as a payback for his career-yes-but if he falters how quick will the hook come or will he be allowed too much time to “right his ship”? I think we will handle Mooney but we could be opened up for a huge passing game from them. Regardless NAVY 41 ARMY 20. We shall see and Good Luck to all! Do you actually WATCH our games, or, just read the gomids board? No way Dobbs should start over even a 85% Kaipo IMO. I’m nervous about this one. If Army has a huge passing game, I’m flipping the keys to this blog over to Gary. You’ve done an incredible job–again! I wondered how Army was stopping Navy at times last year. Now I know. I will review your excellent points several times tonight, so tomorrow I can see if Army is doing the sames things again this year. Thanks for your expert analysis–again. Fantastic job! PS Now we start passing like crazy right? Mike nice job on the tacking the Tackle film breakdown. However, I disagree on the offensive talent gap angle. I’m a fan of both teams and seen Army in person twice this year. Shun is the fastest of all SBs/HBs but I can’t see how you can say Navy has more team speed rushing to the edge. Watching both teams I can tell you McMahand, Dace and Meely are faster than Doyle, Shinego and Finnerty. Navy doesn’t have a overall talent advantage in team speed at SB or in Army’s case HBs..
Army has a weird flexbone that the run with pro style blocking and far too many designed handoffs. Walsh doesn’t know what he’s doing in running an option attack which hampers Army ability, along with turnovers, to be truly effective. If your looking for a reason for success Navy DOES have two huge advantages over Army. 1) Offensive Coaching staff and the head coach. Army’s QBs are not in the same league with Navy’s. CB would be lucky to be 4th on the navy depth chart ahead of Zingler. Even with this weakness Army would have 6-7 wins (due to its SOS) with a competent option attack being coach by an OC that knows what he is doing. Great stuff as always. Although if it were my call I would start Kaipo, I would be very nervous about it. From going to practice this week, I can say he looks good, even moving well on the gassers which have never been his strength. OTOH, his game time has been extremely limited for some time. I start him and cross my fingers, being the huge K fan I am. Jimbear, none of those guys would start for us. Watching Army run the option is painful because their plays develop so slowly. I agree with that the current Army option is awful. Taking Shun, a special player, out of the mix Doyle, Shinego and Finnerty are solid workman like players but have no talent advantage over Army. The problems the Army option has are OC & line coaching, scheme and QB related IMO. I also worry about next year who steps up to add some speed to SB Byrd, Hill? Any ideas Mike or anyone else? I haven’t seen JV play or read any reports on any prospects other than QB & FB. Great analysis as usual and good points by jimbear. I think it will be necessary to pass the ball on first and second downs. It should be wide open and serve to keep them honest. I’m not talking about an aerial attack, just 8+ passes. Kaipo- RD-JB- Camo helmets- Camo numbers- Stripes- yipes- Lets just WIN big! I tried to unleash a mental Manhattan Project once, in the final for steam. It failed to detonate.